While maintaining the torso in a stationary position (no swinging), lift the dumbbells to your side with a slight bend on the elbow and the hands slightly tilted forward as if pouring water in a glass. 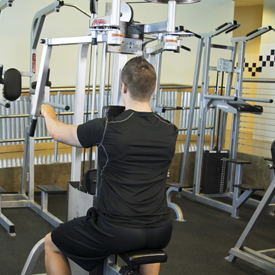 Continue to go up until you arms are parallel to the floor. Exhale as you execute this movement and pause for a second at the top. 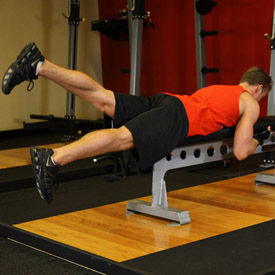 Variation: This exercise can also be performed sitting down. 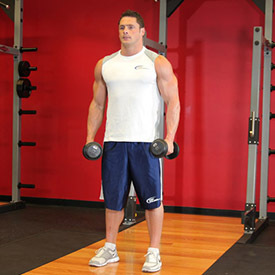 Grasp a dumbbell in each hand with a pronated (palms forward) grip that is slightly less than shoulder width. The dumbbells should be resting on top of your thighs. Your arms should be extended with a slight bend at the elbows and your back should be straight. This will be your starting position. Use your side shoulders to lift the dumbbells as you exhale. 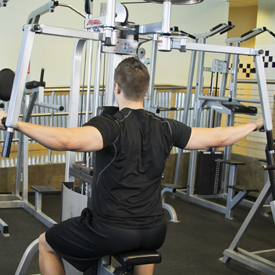 The dumbbells should be close to the body as you move it up and the elbows should drive the motion. Continue to lift them until they nearly touch your chin. Tip: Your elbows should drive the motion. As you lift the dumbbells, your elbows should always be higher than your forearms. Also, keep your torso stationary and pause for a second at the top of the movement. Lower the dumbbells back down slowly to the starting position. Inhale as you perform this portion of the movement. Variations: This exercise can also be performed using a straight bar attached to a low pulley and it can also be performed using an e-z bar. Variations: You can perform this exercise with bands, barbells or cables. You can also use a single handle and work one side at a time. Adjust the handles so that they are fully to the rear. 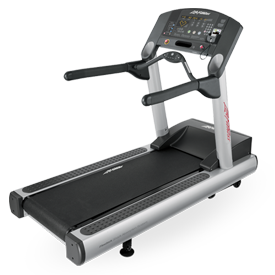 Make an appropriate weight selection and adjust the seat height so the handles are at shoulder level. Grasp the handles with your hands facing inwards. This will be your starting position. In a semicircular motion, pull your hands out to your side and back, contracting your rear delts. Keep your arms slightly bent throughout the movement, with all of the motion occurring at the shoulder joint. Pause at the rear of the movement, and slowly return the weight to the starting position. 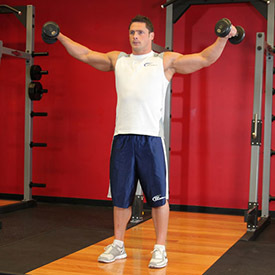 Variation: As you get more advanced, you can hold a weight with both arms for resistance. 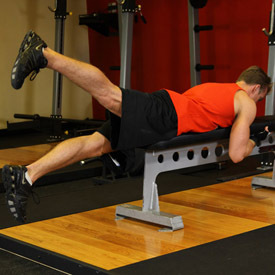 On a flat bench lie facedown with the hips on the edge of the bench, the legs straight with toes high off the floor and with the arms on top of the bench holding on to the front edge. Continue alternating in this manner (as though you are doing a flutter kick in water) until you have done the recommended amount of repetitions for each leg. Make sure that you keep a controlled movement at all times. Tip: You will breathe normally as you perform this movement. Variations: As you get more advanced you can use ankle weights. 15 minutes before and after workout.